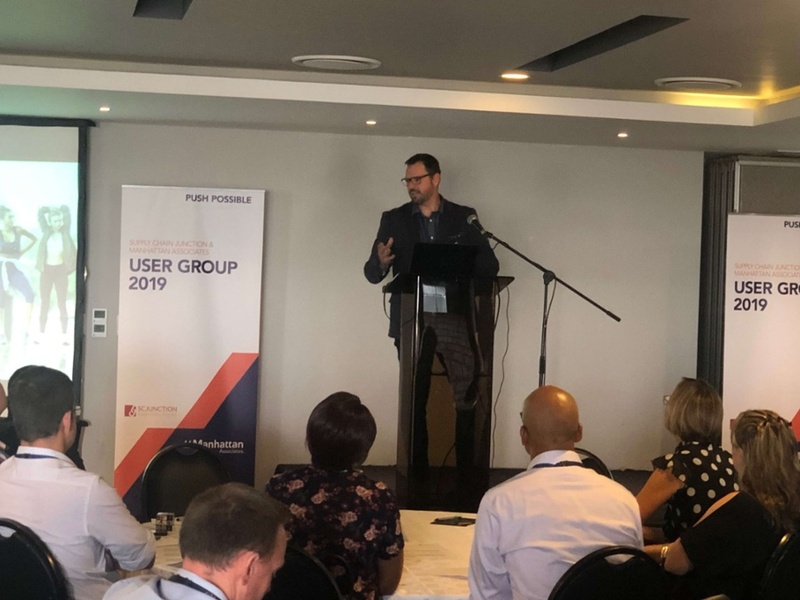 The Supply Chain Junction (SCJ) and Manhattan Associates 6th Annual User Conference took place mid-March at the Wanderers Club, Johannesburg. This event was well attended by both existing and potential customers from many of South Africa’s largest retail, wholesale and 3PL companies. SCJ believes in the creation of occasions such as this for the interaction and exchange of ideas and challenges which generates opportunities for solution driven innovation excellence. The Conference aims to share the latest product innovation and Supply Chain Commerce technology developments. Encouraging networking and the sharing of best practice and varying approaches to specific challenges, this results in leveraging customer investment in the Manhattan product suite so as to ensure continuous business operations improvement. Presented by Martin Lockwood and Mark Vos. Omni-channel, whether in retail, wholesale or another industry vertical, is swiftly becoming ubiquitous. In order to achieve success, supply chain facilitation is critical. Lockwood focused heavily on the principles of Manhattan’s Active Omni solutions journey. The latter was born over a decade ago as a result of the requirement of major retail customers to secure a way to sell their entire pool of inventory from multiple distribution centers and then stored in our current native cloud solution. 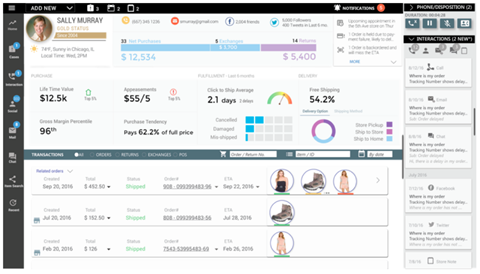 Recently enhanced with a customer engagement module, Manhattan’s Active Omni solution provides a single view of all customer purchases, interactions and service requests, regardless of which channel they were enacted via. Vos focused on the drivers of recent customer success. The key message from this session was the importance of understanding and defining the customer journey, and how the foundation for rapid success and payback could be achieved by focusing on this specific requirement. Presented by, Michael Rhategan, Head of Distribution Centers, TFG. The Foschini Group (TFG) has been a long-time customer of Manhattan and SCJ. TFG is one of South Africa’s largest retailers, employing over 21 000 staff in 32 countries, with over 4 000 stores and 28 different brands. Until recently, TFG had been running each of its brands in separate distribution centers with separate instances of WMS and ERP. This has made agility, adaptability and speed to market complex and cumbersome. Rhategan outlined the strategy that TFG had agreed upon to resolve this challenge. The solution was to enable any DC to flow any brand through it and to review the placement of those DC’s so as to ensure they were close to the markets they served, thus reducing risk. The result? Standardised business processes with the ability to support rapid business growth, consolidation and streamlining of systems with increased speed and agility. Kolok is a member of the Bidvest Group, Africa’s largest distributor of computer consumables. Kolok first implemented the Manhattan WMS in 2007 and has been through several system upgrades, facility retrofits and optimisation exercises. All of these iterations have resulted in significant benefits, such as an excess of 50% in staff head count reduction whilst doubling turnover and significantly increasing SKU count. Ebrahim outlined the continuous business process review and optimisation process Kolok undertakes, in conjunction with the return rate benchmark required for improvements, which helped to not only optimise its use of the Manhattan WMS, but achieve best in class operating metrics. These have been a regular feature, allowing our customers to focus on direct engagement with their peers to share insights, best practices and key learnings. Which functions should be performed in a WMS and which in an ERP/ Host: Are you performing the right actions in the right systems for the right reasons? Considerations for designing best practices in a WMS: The actions and considerations you should you review in addition to the expected outcomes. Omni & WMS: The required elements to ensure your WMS supports your Omni Channel strategy. WMS & Warehouse Design: Considerations to ensure you obtain the optimum from your WMS, in conjunction with your warehouse layout and MHE. Lessons learnt on the journey to success? Order Streaming: How it works and how to leverage it to achieve success. Customising your Manhattan SCALE Experience: Tips and trick to ensure that SCALE’s flexibility works for your operation. Based in South Africa, Supply Chain Junction is an omni-channel retail and supply chain leader and the official Manhattan Associates GeoPartner™. Passionate about securing success for our customers, Supply Chain Junction (SCJ) is an extension of Manhattan Associates. This partnership guarantees that Supply Chain Junction is accredited to sell, implement and support Manhattan’s industry leading solutions across South Africa and the Middle East. SCJ assists our customers in optimising and extracting the maximum benefit from their supply chains and omni-channel operations via the use of leading technology, proven methodology and business practices.